Home / growing cold / jumero / music / news / nl-music / Jumero is back with inspiring new single, "Growing Cold"
Jumero is back with inspiring new single, "Growing Cold"
Malaysian indie trio Jumero are well-known in the local and regional scene for their catchy yet soulful music, so it is with open arms we welcome the guys back with some new stuff! That new material in question comes in the form of a brand new single called "Growing Cold", but let us tell you, there is nothing 'cold' about how the dreamy track sounds. "Jared basically brings the songs to the band at a very raw, infant state. We then polish it up and arrange it with attacks and harmonies to the best of our ability. If it sounds “good” enough, we decide to adopt it as a Jumero song." Having performed the song at many shows before it was finally released officially last week, the band describes the song as a contemporarily meaningful one that reflects the trials and tribulations of human tendencies. "It's about dealing with our natural human tendency to want to hide or take the easy escape route. We all battle with negative thoughts and struggles. Whether its depression, an addiction, or the fear of what people might think. The truth is that it’ll always be there to some degree or another. Sometimes we win sometimes we don’t. Let’s face it, it’s part of life, but it doesn’t have to shape our life. We all have a bold lion within us that is capable of facing the fire that life throws our way." "We can overcome fear, and not let it mould and shape us. Even more importantly, to make sure it does not cause us to grow cold to the passion that drives you." We at TheHive.Asia took a listen to the track and here’s what we think: Surrounded with the urgency of vigorous guitar riffs and harmonious vocals that build up to the inspiring chorus, we hope "Growing Cold" makes it big on the airwaves and local music charts. But don’t just take our word for it. Listen to "Growing Cold" on music streaming sites like iTunes, Spotify, Deezer and Joox, now! 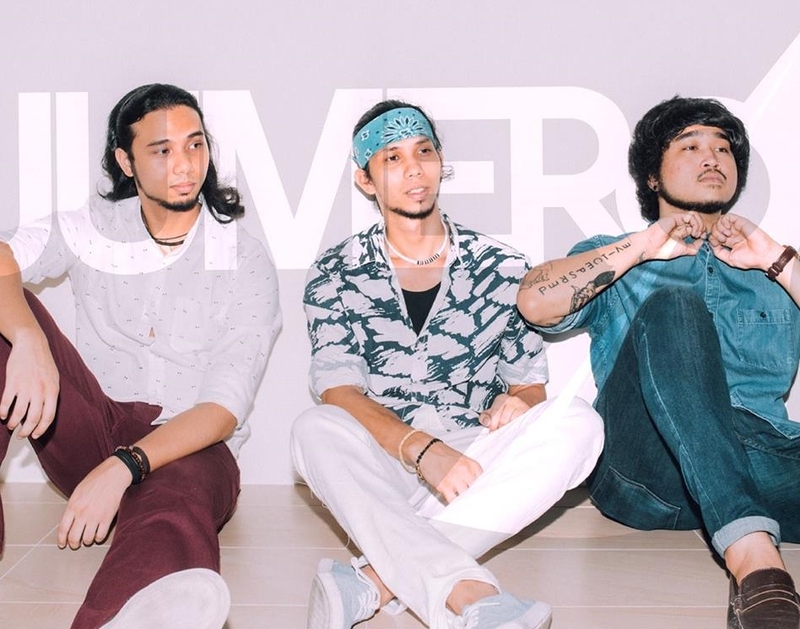 Meanwhile, the band revealed that they've started recording their second album at Sonicsoul Productions (under producer Ananth Kumar) and hope that it'll be released by the first quarter of 2019. So, look out for that! PS - If you want to catch JUMERO live in the act soon, then this 19th of December head on over to The Gaslight Cafe, where the band will share the stage alongside another local band, Battle Bloom for a night filled with great music.